Today I wanted to share with you some of my current favourite bronzers! Bronzers are great to add a bit of colour, glow, or contour to your face! 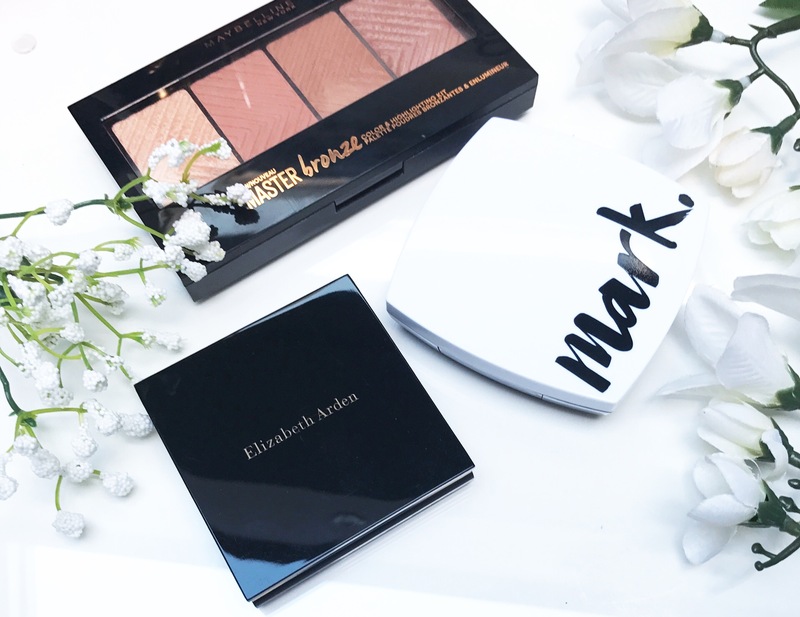 I’ve always loved using bronzer to add some life and dimension to my face …. Maybelline Master Bronze colour and highlight kit – The product itself is really easy to use, goes on well, doesn’t clump and gives me that elusive summer glow. This is simple to use with a brilliant results! Mark Dual glow – Provides a radiant flush, luminous finish, Lasts for hours, stays colour true all day…. I don’t use face makeup, but I love the love of it all and learning more about it (: thanks for sharing! These bronzers look so nice, I love the packaging!